These are all darling! I love that they are simple and useful, but look so adorable! 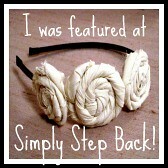 I'm featuring them on my blog today. All really cute ideas. Where did you find such a gorgeous take out box for the fortune cookies? I found the cute take out box at Hobby Lobby, in the party supply section. what great ideas! so simple and useful! Those are really cute! Teacher Appreciation week is half over & I still havent come up with anything I want to do! Visiting from Tea Rose Home! How fun! Thanks for sharing over at Tuesday Tell All. Those are some great ideas. I have to do something for Laci's teachers... I feel really bad that I have just been so busy I didn't get the chance. I will keep this stuff in mind for next year! 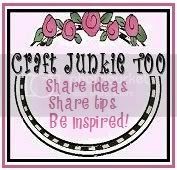 Thanks so much for linking to It's Stinkin' Cute Craft Thursdays! Back again. I made it to Hobby Lobby for the first time to get the cute take out box for the fortune cookies. They just opened a store about 20 miles from where I live. Worth the trip! I was wondering how you did the Asian font "I'm fortunate to have you". Is that your own caligraphy or did you download a font? Thanks again. Pulling this altogether for my daughter's teacher. Many thanks!!! Great ideas! As a teacher, I would definitely appreciate any of these! Thanks for sharing! 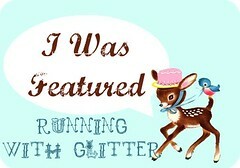 I would love for you to link up to my Ten Buck Tuesday link party! It lasts all week! So sweet! I do hope you will link this up at Color Chic! 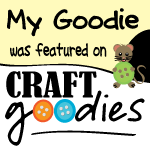 We're having a giveaway each week this month in honor of Ribbon Jar Anniversary! Since I was a teacher- I now that are not appreciated as much as they should be. I taught HS and once I received a thank you card from a student and it meant the world to me. Thanks for linking to Workshop Wednesday. hope to see u this week! An attention on style, beauty, home, and life makes Outblush something other than a cosmetics and beauty blog, however the beauty area pulls together audits of cosmetics,Cate Blanchett Skin Care chemicals, creams, and other face and body items.